• Continue a dialogue between medical researchers and those in the social sciences field who study media effects. • Learn and exchange ideas on the cognitive, mental, physical and social impacts of digital media on youth, families, culture, and learning. • Identify and report on state-of-the-art empirical research on the impact of digital media on developing minds (i.e. toddlers, children, and adolescents). 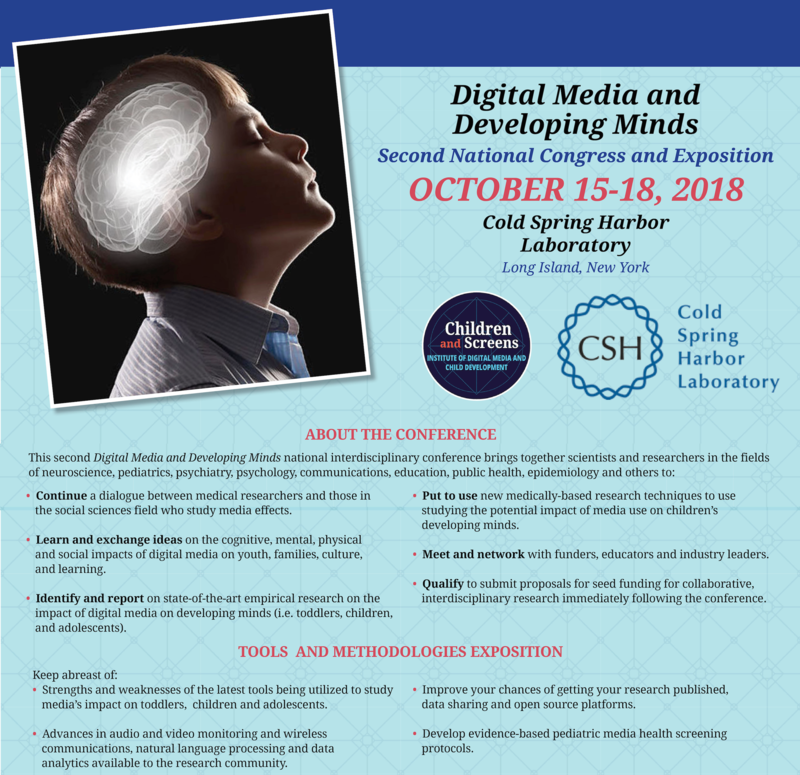 • Put to use new medically-based research techniques to use studying the potential impact of media use on children’s developing minds. • Meet and network with funders, educators, and industry leaders. • Qualify to submit proposals for seed funding for collaborative, interdisciplinary research immediately following the conference. • Strengths and weaknesses of the latest tools being utilized to study media’s impact on toddlers, children, and adolescents. • Publishing opportunities, data sharing, and open source platforms. • Advances in audio and video monitoring and wireless communications, natural language processing, and data analytics available to the research community. • Develop evidence-based pediatrics media health screen protocols.